When you need to hire a maid in the Charlotte area, call us first, and we guarantee you won’t be disappointed. Remember the good old days in the Charlotte, North Carolina area when southern ladies would sit around, drink tea, and talk about such things as how they were going to hire a maid to do their spring cleaning or prepare for the next party they were hosting? Times sure have changed because today’s household is a flurry of activity with handling a career, raising a family, and still perhaps entertaining often. Here at Fiv5 Star Cleaning, we realize that now, more than ever, you may want to hire a maid to help ease the load. Whether you need to hire a maid for those extra things you never seem to find the time to do or you want to turn over the responsibility for a clean home completely, we can tailor a cleaning schedule that will meet your needs and your budget. We also offer a few non-cleaning services, such as serving food at a party, picking up dry cleaning, or walking your dog. Feel free to ask us about anything that would make your life a bit easier, and there is a good chance we can help you out with it. Our maids have been thoroughly screened, so you can feel comfortable allowing them in your home. Our owner personally trains each and every one of our maids to be sure they provide the quality of work that we are well known for. It is our integrity and willingness to go above and beyond that has helped us grow our business over the years to more than 130 regular customers each month and still growing. Contact us today to learn more about how to hire a maid for your home or even for your business cleaning needs. 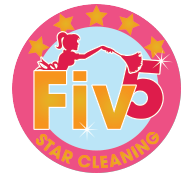 At Fiv5 Star Cleaning, we can help if you’re looking to hire a maid in Charlotte, Concord, Cornelius, Gastonia, and Mooresville, North Carolina, as well as Rock Hill, South Carolina.